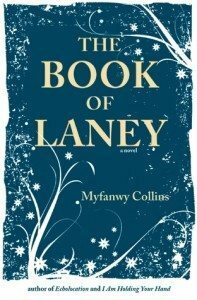 Myfanwy Collins’ latest novel, The Book of Laney, tells the story of fifteen-year-old Laney surviving after her brother is involved in a terrible act of violence against her schoolmates and mother. Sent to live with her grandmother in the rural Adirondacks, she tries to make sense of both her family history and her new existence. Within the dark subject matter, she also navigates love, school, and sacrifice. It’s an outstandingly beautiful book, and the kind of book that should be required reading of anyone who is too quick to dismiss YA as a genre. Over email, Myfanwy and I discussed the book’s broader themes, grief and memory, and her favorite YA books. SH: At the beginning of the book, Laney says outright that she is “not a fighter.” Was it a deliberate choice to have a story about the quiet ways one can fight their battles? MC: It wasn’t a deliberate choice but I absolutely love your take on it. There is not much deliberate about my fiction (though there were some concepts I definitely intended on working with within this book) and to have you pull that out excites me. I’m now seeing puzzle pieces fitting together in my mind. What quiet ways did you see Laney fighting? I’m intrigued. SH: That she made the decision to learn about animal tracking, or that she would throw herself into her school work or snowshoeing, almost as a way of showing how she was not entirely made up of the… Well, carnage of what her brother did. MC: Wow. Wow. I love this. Thank you. One of the most exciting things about putting your work out into the world is learning what others discover in it. Laney’s decisions are decisions that would have come naturally to me and so I didn’t even register how she truly was fighting for her survival. Survival is a key component of the book. How we learn to take care of ourselves. How we learn to be self-sufficient. But then Laney also learns all of these extra skills from her grandmother. The idea of survival and survival skills and extreme situations are inspiring to me and are coloring everything I’m working on and I’m not talking about survival in a dystopian way, but in a real-world way. I believe we have gotten really far from knowing how to take care of ourselves against the elements. I’m learning and relearning a lot. It’s terribly exciting. SH: I know you grew up in the Adirondacks, which is where The Book of Laney is primarily set. What is special to you about that location? MC: The Adirondacks are often referred to as “forever wild.” I very much gravitate to that description within my own self. Many people don’t know this but the Adirondack Park is the largest state park in the country. Indeed, it is larger than many of our national parks. And while it is protected land, many people live and work within “the blue line.” I was one of those people. It’s a hard life. It’s a rugged life. But it’s also astonishingly beautiful and breeds tough, interesting, intelligent people. Fighters. I was born in Montreal but I spent every summer in the Adirondacks until we moved there for good when I was 11 (well, I was technically ten, but I soon turned 11). My formative years were there. Most of the life I lived with my mother was there. My father was a huge part of my early experience there, teaching my sisters and me to hike, fish, paddle a canoe, etc. Even though I had this other experience as a child of the suburbs and city, my childhood lives in those woods, those lakes, those mountains. 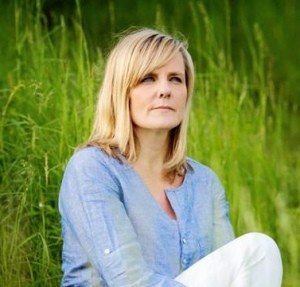 As with so many of us, I need to write from the distance of time and place and living as I do now in coastal Massachusetts, so much of my work tumbles back to that childhood place, which is also a place my family and I visit every summer and where so many people I consider dear friends live. I suppose, too, it is that aspect of wildness and being apart from others that intrigues me as does living in a place which requires you to have survival skills. I also like to consider a life that is not so easy as it is for me here and now when I can jump in my car and be at a grocery store in five minutes or where I’m within a 30 minute drive of some of the best medical care in the world. SH: I find myself quite fond of books set during the winter. Something about the holding pattern one is in while waiting for spring leaves a lot of room for introspection. Tell me a bit about how you see the connection between Laney’s new life and the weather. MC: Spring is promise. Summer is carefree. Fall is starting over. Winter is the worst case scenario. In all things, I exist most comfortably in the worst case scenario. Within that worst case scenario is the opportunity to bring yourself back up to level. I unconsciously placed the narrative in winter. There was never any other choice. Partly because I began with the idea of her exile to this hard to reach place. I began here because I had a specific place in mind. A place on a bluff on the lake where I grew up that was only accessible by boat in the summer or by crossing the ice in the winter. I remember once when I was a child we were near that bluff in early spring and the two older women (sisters) who owned a house there came on a boat through the icy water (many large chunks of ice still visible). They had long, gray braided hair that they had bunned up onto their heads. Glasses. I found them fascinating. Since that time, my sisters and I had the opportunity to visit their home in the summers when their family from California visited. We would swim across the dark, deep channel that dropped off past the sandbar. Their house was up the hill, obscured by tall trees. Of course, it was very romantic to me, the idea of that house. And so I wondered what it would be like to live there and then what it would be like to live there in winter, away from creature comforts. And living where you live [Montana], you understand as much as anyone the hardships of a northern winter. The north country, where I grew up, has some harsh cold winters that last from October-May, but with those winters comes beauty as well as pain. There is beauty in extreme cold. Extreme cold can be quiet and bring you to a point of reflection you might not otherwise reach if you were perfectly comfortable. There is also the opportunity for the northern lights. To experience them is like nothing else I have ever experienced, like no other beauty. They will make you feel small and large all at once. Both a part of the world and outside of it. All this is a roundabout way to say that Laney needed winter in order to follow her own footsteps and track back to herself. SH: There are a lot of different kinds of grief in the book too. What role do you think books have in processing our grief — much like Laney uses the animal tracking book? MC: Grief is a wild animal, a living thing. You think you have it contained when it lunges back out at you and leaves your shivering in the corner. The tracking book offers Laney yet another way of seeing the world around her. Through the book (and through her visions) she learns how to become the other. She learns how to experience the world through the eyes and perspective of that other, thus allowing her to truly see what is around her. I wish I knew how to truly process grief. Children process it in such a pure and uncomplicated way. Someone/thing dies. You hurt. You cry. You move on. The hurt gets less. You keep moving. As we grow and understand our own mortality, we tend to get stuck in our grief. Then as adults there is something almost narcissistic about our grief. For Laney, she is in between childhood and adulthood and she has no one to discuss her grief with to help her make sense of it. So as much as Laney is grieving throughout she is also coming to understand her mortality and to process her feelings of life after death in the only way she knows how, by examining the world around her and by learning to see. SH: Love plays a particularly complex role here too. How important is it to show all the different ways a person can be loved, particularly in a YA novel? MC: Growing up, I saw the world through the opposite of rose-colored glasses. The love I experienced was brutal or negligent or withheld or it was generous and warm and plentiful. There was no in between. Aging and working myself through friendships and romantic relationships and familial relationships has taught me of the importance of those in between areas in love. And how even if we don’t get exactly the love we thought we deserved — that we might have believed was owed to us — the love we did receive was still worthy and important. I wanted Laney to learn all of these things about love. I wanted her to feel herself worthy of both giving and receiving love and also, of forgiveness. SH: I loved the lines about research only aiding memory, and that it can’t stand in for memory itself. 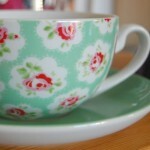 Do you think our memories become more unreliable when we are in the thick of grief? MC: Oh, I absolutely think our memories become unreliable in the thick of grief. What a great way to put it. There is almost a switch when the beloved (or even the not so beloved) dies that goes on inside you to bring on the unreliability or to rosy up the memories. For example, my stepfather was a horrible human being. I mean, he was ghastly. When I found out he was sick, I actually prayed that he would die (there’s a whole lot of guilt that went along with that too!) and yet when he actually died, I cried and mourned him and thought of the times he had been lovely because there had been a few times and I mourned his human being or who he might have been. But then regret also becomes a part of the source of memory. The things that you did not do or what might have been seem to live almost as real as the actual memories. SH: What was the genesis of this story? Was there a particular news story that started you thinking about it? MC: I wrote the first draft of this book in the winter of 2010. In the autumn of 2009, we were living in New Hampshire and had just sold our house but had yet to find a new house to move into in Massachusetts. We had 30 days to move and it was becoming quite clear that we were going to end up in some transitional housing before we moved into a permanent home. I was stressed. It was early in the morning of a Sunday. We were going to go out with our realtor that day. My family was upstairs sleeping and I was downstairs in the den on my laptop looking at houses. I was up from 3 a.m. on. Luckily, that day we found the house we would put on offer on. It’s the house I’m sitting in now. We were so happy to find it. But that’s not why I remember that day. I remember that day because on the Monday, a friend called me and asked if I’d heard what happened. Nearby to where we lived (within two miles of my New Hampshire house) a horrific, random crime had taken place in the wee hours of the Sunday morning (when I had been awake and worrying over the mundane). I do not want to go into the grim details of the crime out of respect for the family, but suffice it to say that a family was horribly victimized. Later that week, my sister called and told me that she read in the paper that one of the teenaged perpetrators lived on the road that was the cross street to my road. Indeed, he lived in the house on the corner up the street from me. He lived in a house I had passed hundreds and hundreds of times in my car, walking my dog, out running, pushing the baby carriage… This normal house I passed by held a young person who would go on to be involved in something unimaginably brutal. After knowing that, I paid the house special attention. I noted that they did not put up their Halloween decorations. I noted that they did put up do not disturb and private property signs all over their yard. I noted the quiet. Then I began to read in the paper about how this young man’s family had been affected. How he had a younger sibling still in school and an older sibling who was going to have to drop out of college to get work because the parents were in financial hard times. I thought about those siblings and I remembered those feelings of being a sibling myself and being the child of parents who were fallible and about how I felt that whatever my family did marked me as something other. From there I extrapolated and began to consider what it would be like to be someone like Laney and once she was born, she didn’t stop growing until she became inevitable to me. I hope Laney will speak to people who need to hear her. I hope they will understand that she and her experiences can show them a different path than the one they might feel is inevitable or their only option. There is always another option. SH: The “visions” element to Laney’s life is an interesting feature. Was this immediately how you envisioned her character, or did it come into play when trying to feature other characters’ points-of-view? MC: The visions were not immediate. I believe they came in after several rewrites. My intention with them is like with the tracking book. Through them, Laney learns to empathize or at least she begins to learn to empathize. SH: How did you decide that The Book of Laney would be a YA book? Or was that just how it shook out? MC: I had always wanted to write a book for young adults and I knew that Laney was going to be a young narrator and so I wrote it with the intention of it being for a young adult audience. It wasn’t until Andrew Scott accepted the manuscript for publication at Lacewing Books that I really broke free in the genre. Andrew gave me extremely helpful feedback which allowed me to let loose on some of the threads where I was holding back or not expressing myself in the way I normally would. Basically he told me to just go for it and so I did just that and the book is much better for it. SH: What other books would you recommend to readers who are initially dismissive of YA lit? MC: I find it interesting when people are dismissive of any genre. I read across all genres so long as the book is good reading (with that said, I don’t read much horror anymore because I am too easily scared and I need my sleep). There are so many from my youth that I want people to read, like all of the Paul Zindel books, like the S.E. Hinton books, like Lois Duncan’s Killing Mr. Griffin and Judy Blume’s Forever (which my friends and I passed around). And then I also love the books of my friends, Matthew Quick and Evan Roskos, who so bravely explore subjects that are often taboo for young men (like mental health issues). Finally, I think of the books I also loved as a young reader (and still do now) that aren’t labeled “young adult” like Maya Angelou’s I Know Why the Caged Bird Sings, and Carson McCullers’ The Member of the Wedding, for example, or The Heart is a Lonely Hunter. And, of course, The Catcher in the Rye, which I read when I was twelve. Books about young adults, like my beloved Adirondack Mountains, gave me a home when I needed one. Why would anyone dismiss a book that gives a reader a place where they feel they finally belong? Myfanwy Collins’ corner of the internet can be found here, as well as on Twitter and Tumblr. Love this interview! And Myfanwy’s book appears to have mysteriously landed in my Amazon basket and been bought. How strange! Read it in one afternoon (this afternoon, as it happens)! 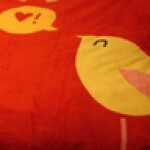 Totally love it. So glad I bought it, and the interview just enhanced everything so much, too.